How to Turn on Nokia 3310 - Learn here How to Turn on Nokia 3310 with the manual from the official. As we know the Nokia 3310 is a Nokia-branded mobile phone developed by HMD Global. 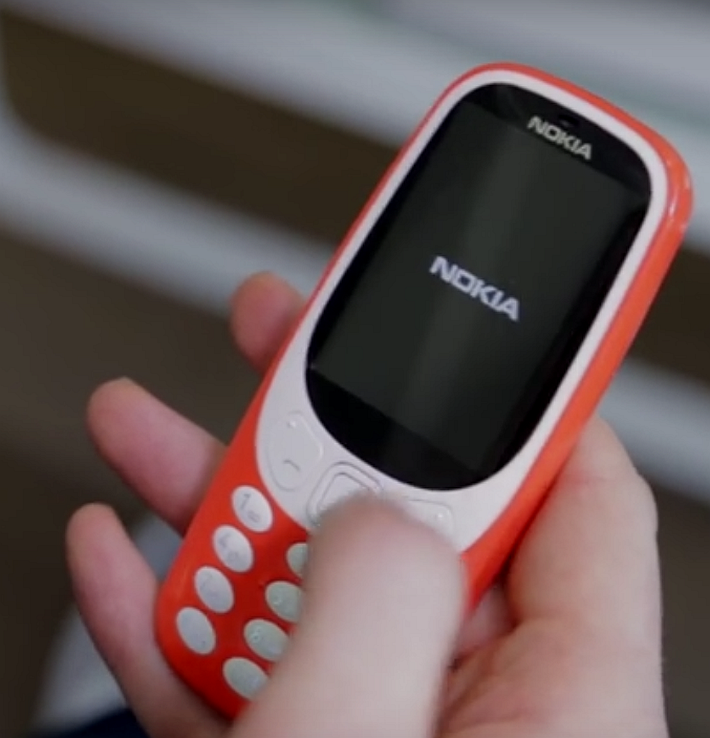 It was announced on 26 February 2017 at Mobile World Congress (MWC) 2017 in Barcelona, Spain, as a remake of the iconic original Nokia 3310 that was produced from the early to mid 2000s. Features 2.4″ TFT display, 2 MP camera, Bluetooth. Before you can use your phone, you need to read this Nokia 3310 Manual 2017 insert a SIM card in it, and then install and charge the battery. To prevent damage Nokia 3310 to the SIM card, always remove the battery before you insert or remove the card. This device support use micro-SIM cards. You can obtain the card from your network operator or service provider. And if you use of incompatible SIM cards may damage the card or the device. Keep all miniature SIM cards out of the reach of small children. The SIM card and its contacts can easily be damaged by scratches or bending, so be careful when handling, inserting or removing the card. Slide the cover from buttom, and lift the cover . 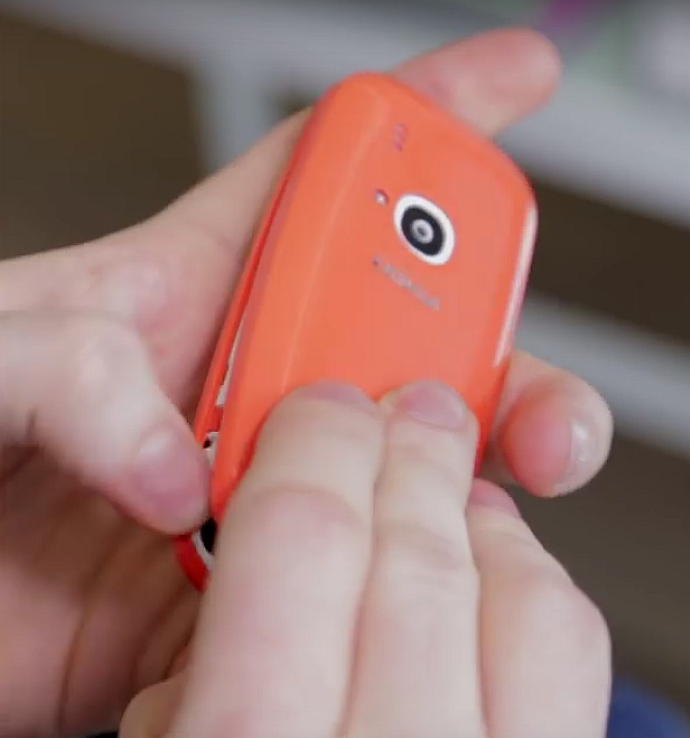 Push the two release catches in the opposite directions and remove the battery Nokia 3310 . Slide the SIM card carefully into the SIM card slot . Make sure that the golden connectors on the card are facing downwards and that the bevelled corner is on the left. Align the golden connectors on the battery with the corresponding connectors on the phone and push the opposite end of the battery until it snaps into place. 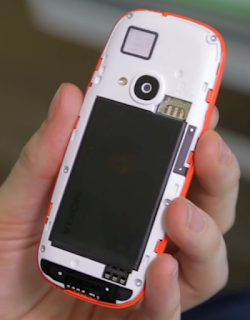 Insert the back cover in the corresponding slots in the phone and slide the cover towards the bottom of the phone until it locks into place. Nokia 3310 2017 Manual : Do not charge the battery when either of the phone covers is removed.